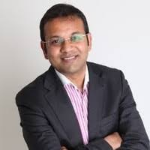 Prateek Shrivastava is the Vice President, Digital responsible for leading digital transformation projects with Accion’s partners, helping improve and scale their efforts to reach existing and new underserved customers. His key area of focus is helping partners leverage data analytics and mobile channels to develop new products that advance financial inclusion. Prateek also sits on boards of portfolio partners and plays a significant role in assessing potential Accion partners and fundraising for the advisory team. Prateek brings more than 25 years of experience in applied technology, working in more than 30 countries across Africa, Asia, Europe, and North America. Since 2006, he has been instrumental in bringing financial services through technology to the underserved in Asia and Africa.